This cell line is useful to produce and assay bovine adinovirus 3 in vitro. (J. Virol., 16, 621 (1975)). 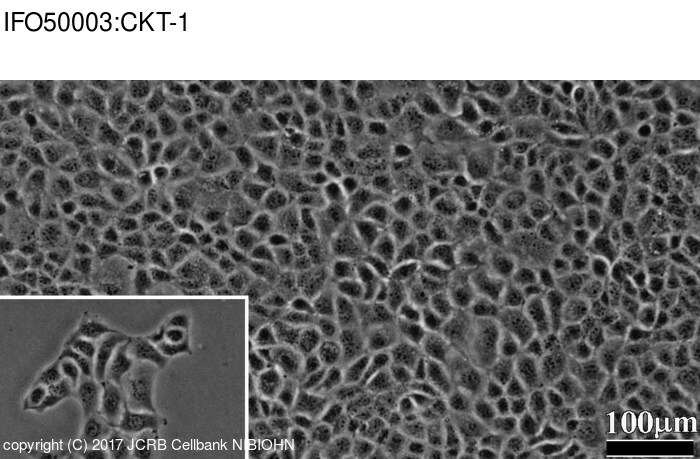 CKT-1 is a clone of CKT. This line is useful as indicator cells to assay mycoplasmal contamination in cell cultures.